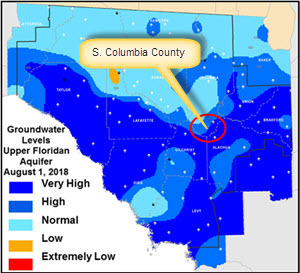 LIVE OAK, FL – With aquifer levels reaching record-breaking highs in some areas, the Suwannee River Water Management District (District) has released a new alert system to keep local governments, residents and stakeholders informed on the changing groundwater conditions. Groundwater levels across the southern portion of the District remain very high, which increases the potential for flooding if a major rain event were to occur. • Make a plan for an alternate exit route in the event your main route is flooded. • Identify a location to move low-lying valuables and animals to higher ground. • Clear drainageways and ditches of fallen trees or debris. 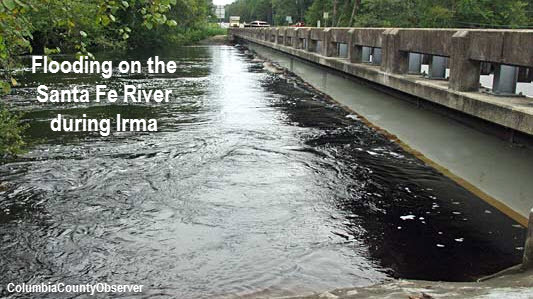 • Become familiar with past flood water levels in your area so you have a reference point. For more information about the District visit www.MySuwanneeRiver.com.